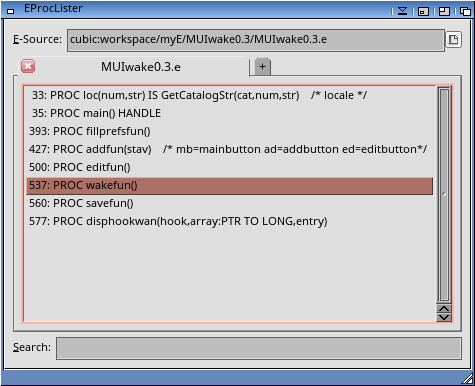 Description: Show PROCs of E-src in a MUI window. 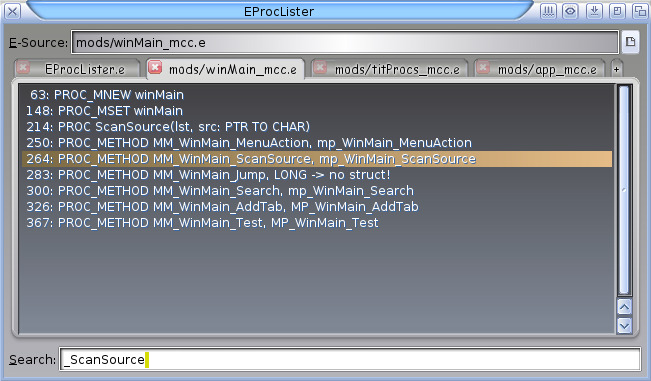 into Scribble and the cursor is positioned at the PROC. Hint: Scribble has to be started before you double click! There is also a Search gadget to search for a PROC in the current tab. 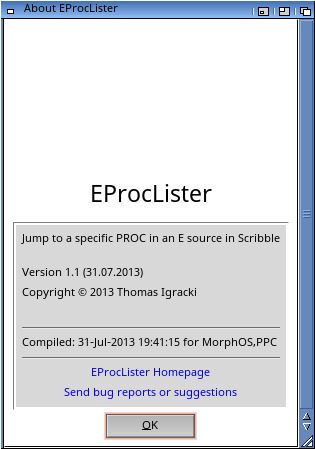 If you have some suggestions or bugreports send them to: EProcLister@Igracki.de. If someone wants an Amiga68k or AmigaOS4 version, contact me.